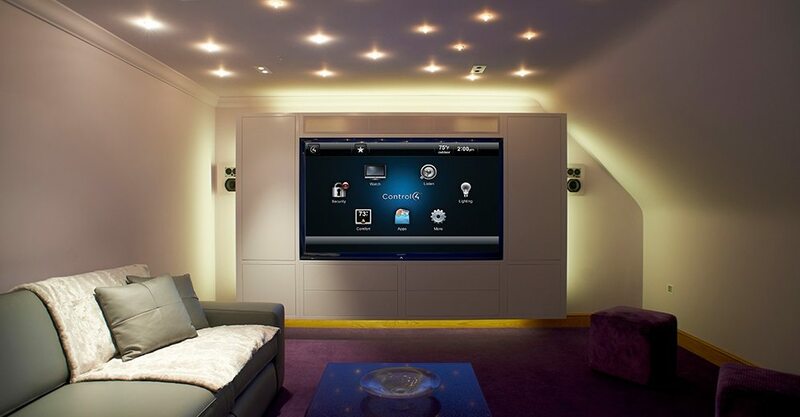 Control 4 offers the ultimate home automation solution. This is by partnering with the biggest brands in consumer electronics, appliances, energy, lighting and home security. An integration with Control4 creates personalised experiences. These experiences will enhance life and provide added comfort, savings, convenience, and peace of mind all in one app. The wonderful thing is, you can start small with just your lounge room or home theatre, or go big with whole-home automation. Control4 is built to grow as you go, so you can always expand later if you wish. It is so good; we can almost guarantee to integrate your whole home in no time. No matter what the application, the experience with Control4 is remarkable, and you’ll wonder how you ever lived without it. ‘’Control 4 is now the most popular choice for Home Automation control because of its reliability, ease of use and cost effectiveness. 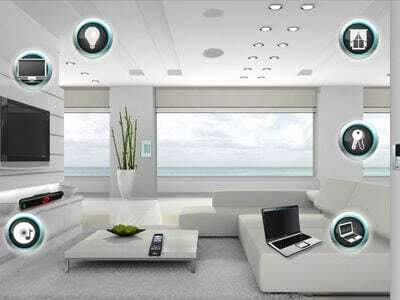 At SMARTHOMEWORKS, we install full-featured, practical, and reliable home-automation systems. These are easy to use, and at a price that fits into your budget. Furthermore, our scalable designs also mean that it’s not an all-or-nothing choice. For instance, you can start with a basic system. Also, you can upgrade over time with solutions that fit your evolving lifestyle. This flexibility is just one reason why we love Control4! Founded in 2003, the Control 4 home automation system was at the forefront of early home integration technology. Presently, it has continued to lead the way. Additionaly, this is one of our favourite systems here at SMARTHOMEWORKS and one that our customers love. There are over 500 companies supporting the Control4 system. These include some of the largest tech companies, like Sony and Panasonic. Hence, this is one of the most popular and readily available systems at SMARTHOMEWORKS. Also, it has an approachable price point and entry-level user interface. Therefore, Control 4 home automation is the perfect system for those who want an easy-to-use, handy home automation system. The Control4 system is specifically geared towards two things: convenience and comfort. Particularly, the major drawcard for this system is the lack of remotes and switches. Even with the Starter Kit, you’ll be able to effortlessly and seamlessly control your system. You can control your entire audio and visual entertainment from a single home control device. Kits can be upgraded to make your Control4 home automation system even more convenient. This includes the ability to control all your lights, entertainment, AC and appliances from your smartphone. Furthermore, as the world’s most popular home automation system, Control4 is affordable and can be catered to your every need and desire. Just contact us at SMARTHOMEWORKS, and we can help make your house into the comfortable and convenient home you deserve. An often overlooked, yet very handy, component of the Control 4 home automation system is safety. Like most smart home systems, Control4 can be integrated with your gate security system, cameras and video doorbells. Also, it has a very helpful extra that most other systems don’t have. Likewise, Control4 can be integrated with your door locks, giving you the ability to lock up your house from wherever you are. All in all, never again will you have to worry if you locked the front door before you left on your business trip. For those of you a little scared of technology, or just want a system that doesn’t require too much tech know-how, the Control4 is the perfect system for you and your home. Once our experienced SMARTHOMEWORKS technicians have expertly installed your system, Control4 is easy to use and works flawlessly. The graphic interface is simple and holds your hand throughout the process of setting up and controlling your system, so you’ll never have to check the manual. The use of Control4’s Zigbee wireless capabilities means you won’t have to rewire your house, saving you money and you can take advantage of your home technology pretty much straight out of the box. Some people have even compared the Control4 home automation system to a Toyota car: affordable, yet expertly made and easy to use. At SMARTHOMEWORKS, we’ve designed and implemented home automation systems for nearly two decades. In that time, we’ve seen Control4 become one of the most innovative and accessible home automation systems on the market. From office workers to celebrities, Control 4 home automation creates endless comfort and convenience in your home. Contact us, and Guy and the team will be able to guide you through the entire process in making your dream home automation system with Control4. at SMARTHOMEWORKS we can undoubtedly make it happen!